In need of service? Allow our team of certified technicians to provide your Audi with the specialized care it needs so it can continue to serve your needs. At our Audi Boulder Service Center, our staff has comprehensive training to handle all Audi models, ensuring your luxury vehicle receives service that goes above and beyond that of your typical automotive shop. There's no greater feeling than getting behind the wheel of a well maintained luxury vehicle, and here at Audi Boulder Service, our staff is equipped to get you where you want to go! With on-going service center specials to maintain your car, along with accessories, we'll get you adventure ready while you receive maintenance at a price point you're going to love. Come visit us today or give us a call to see what specials we're offering now! 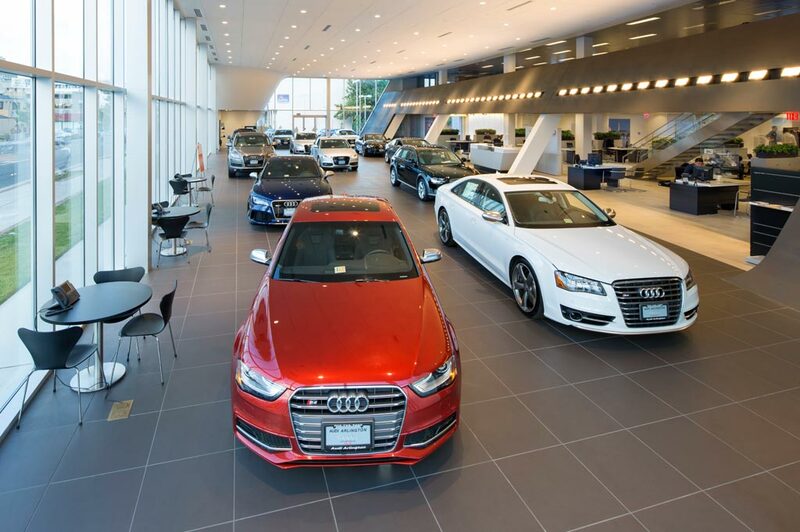 Audi Boulder Service in Boulder, CO treats the needs of each individual customer with paramount concern. We know that you have high expectations, and as a car dealer we enjoy the challenge of meeting and exceeding those standards each and every time. Allow us to demonstrate our commitment to excellence! Our experienced sales staff is eager to share its knowledge and enthusiasm with you. We encourage you to browse our online inventory, schedule a test drive and investigate financing options. You can also request more information about a vehicle using our online form or by calling (833) 544-8037. Newly remodeled, same great service! When you're looking for knowledgeable, friendly customer service and expert vehicle repairs, Audi Boulder Service will deliver. We're dedicated to providing the Boulder, Loveland, Longmont, and Denver areas with a level of service you expect from a luxury car dealer. We even partner with local businesses and organizations to support our community because without you, we wouldn't be where we are today. Colorado trusts Audi Boulder Service to provide award-winning service each and every time. Whether it's our extensive selection of pre-owned vehicles or expert care from the technicians at our service center, we aim to give our clients a true luxury experience. From complimentary car washes with Multi-Point inspections to convenient hours, our commitment lies with you, our clients.